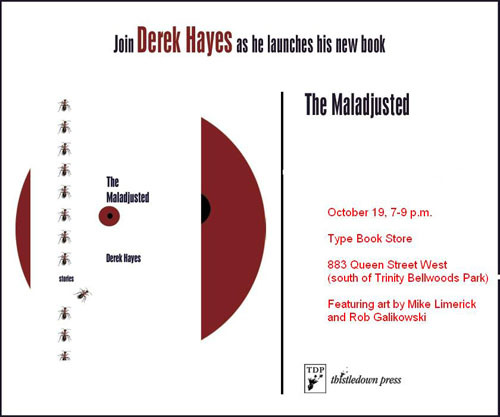 The Maladjusted is published by Thistledown Press. The Globe and Mail gives a good review of The Maladjusted. 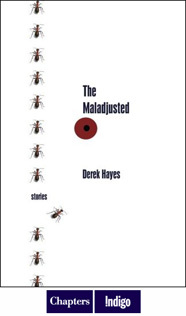 Read a review of Derek’s new book, The Maladjusted, written by Daniel Garber at CulturalMinng.com. 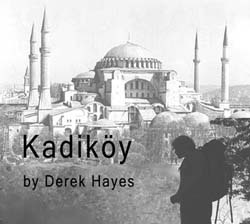 Derek Hayes’ collection The Maladjusted concerns people who are unable to react successfully to the demands of their environment or of social exchange. When they fail to cope with their life realities, or lack the skill, readiness, or ingenuity to adapt to change they become Hayes’s maladjusted. Mental health issues are front and centre in today’s media. The City of Toronto is rebuilding a new and cutting-edge CAMH facility. But should the Ontario government increase disability allowances? How about introducing legislation that deals with too-long waiting times for people who need a routine psychiatric assessment? These sixteen contemporary, urban stories intimately explore the fictionalized lives of people that suffer from anxiety and depressive disorders. And do so compassionately. If you’d like an interview with the author or would like to review the book, you can contact him at the above phone number, email address or through his website.